Mac OS X 10.7 Developer Preview can be installed and ran alongside Mac OS X 10.6 on the same drive, all you need to do is partition your existing boot disk and I’m going to show you exactly how to do this in a step-by-step guide (alternatively, you can run it in VMware too). Now I’m going to assume you already have Mac OS X 10.7 Lion downloaded (grab Developer Preview from Apple) and ready to go, and that you’re currently running Mac OS X 10.6. Important: Make sure you have a backup of your existing Mac OS X installation and disk before continuing with this guide. Time Machine makes this very easy. Any time you edit a drives partition table or install a new operating system there is always a small chance something could go wrong, so just be safe and have a backup ready. 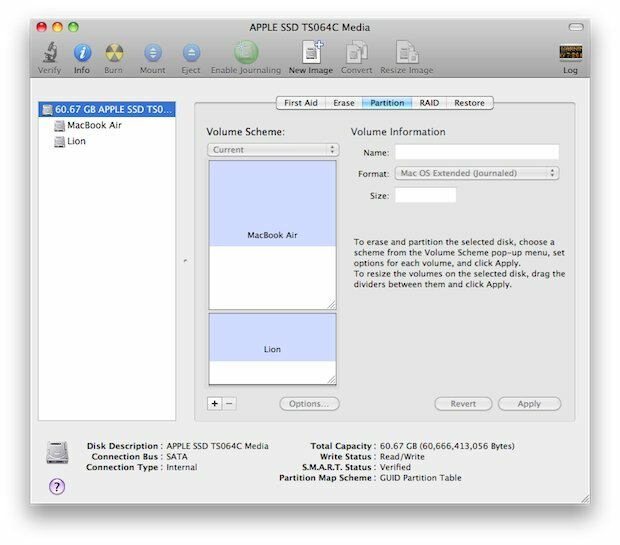 You can create a new partition on your hard drive with Disk Utility, this does not require you to reformat the drive and you should not lose any data (besides, you have that backup just in case something goes wrong, right?). Now that you have the partitions squared away, we’re on to step 2. Just let this be as it runs. You’ll see a preparation window and then your Mac will reboot into the full installer. Due to the fact that you are installing from your local disk to another partition, the whole process is much faster than it would be to install from a DVD. On my MacBook Air 11″ the entire Lion installation took about 15 minutes. When Lion is finished installing, your Mac will now automatically boot into 10.7. If you want to boot into a different Mac OS X installation than the one that is set as your default in the previous step, you can hold down the Option key during reboot. You will then see a boot loader like the image at the very top of this tutorial, where you can select which Mac OS X version and volume to boot from. This is dual booting at it’s finest, and this is the best way to run the Lion Developer Preview. Remember, this is a developer preview for a reason, it’s not meant to be a stable operating system for daily use. Many have installed 10.7 Lion on top of their existing 10.6 Snow Leopard installation, and while this may be the easiest method it can’t be directly undone and instead requires a complete system restoration to uninstall and revert back to Snow Leopard. That’s a huge pain, just give Lion it’s own partition and make it easy on yourself. Fantastic walkthrough, I have wondered if this was possible because so many initial reports involved upgrading 10.6.6 from the Mac App Store. I am going to do this later, what a great weekend project. Yes just make sure they are all on their own unique partitions. I have Windows 7 in boot camp for gaming. Jowan, I know I’m late to this thread, but if you’re still around, I’m wondering how you accomplished this. I installed windows 7 using bootcamp, worked fine. Then I used Disk Utility to split off a small part of Partition #1, to install Snow Leopard on — and now I can’t boot into Windows anymore! * Disk Utility, the Finder and the Startup Disk preference pane all still show the Boot Camp volume, with all the files intact. * When I boot holding down the option key, all I see are 10.7 and the restore partition. I sure would appreciate some help with this. Thank you very much! If I am not mistaken, Bootcamp requires it to be in the last partition but with a maximum of 3 partitions. If you go beyond 3 partitions, Windows will not be able to boot. With Lion, the problem is that the new Recovery Hd takes up a partition. Therefore, it is not possible for Windows to boot. Instead, you will have to remove that recovery partition, or just have Lion, Lion Recovery and Bootcamp. Can I do this W/ Mac OS 10.5 Leopard? I know this is a late comment, but you have two choices. 1. Partition your disk and install Snow Leopard and then get Lion and partition your disk again to triple boot. That is, if you can triple boot them. Will you lose any of your data in the OS X snow lepoard disk? This is the problem I have. Installed Lion on top of Snow Leopard and now have to revert to SL as Dropbox (essential for me) won’t run under Lion. Anyone know how I do this complete system resore…?? Have you tried restoring from a time-machine backup? If you have that option, plug in your time machine external drive and hold the option key. Choose the time machine recovery drive and it should restore your system. I could be wrong, though. I would also recommend trying a fresh install of 10.6 as it was an ‘archive and install’ and shouldn’t erase your files. But once again, I could be wrong about that too. Best of luck! I have a 32GB flash drive and was wondering if I could install Lion on it and boot from the flash drive. I don’t have alot of time to tinker and don’t want to mess with my Snow Leopard partition. Do I have to run the Lion installer from a DVD or I can run it directly from my HDD? Is there any problem in deleting this new partition should I decide I want to go back to my current state? Not at all, you can just delete the partition through Disk Utility. That said, you should always have a recent backup of your Mac before you change the partition scheme just in case something goes wrong. I wasn’t able to delete the Lion partition. I get a message telling me I need a newer OS to do it. There’s nothing newer then 10.6.8 apart from Lion, and I can’t delete the Lion partition from Lion. I’m thinking the only way around this is to create a bootable Lion on an external drive and removing the Lion partition on my internal drive from that bootable external Lion install. I have the same problem, I want to delete my partition, but I get the message telling me that I need a newer OS to do this. How do I solve this?? I did everything but when I want to choose Lion as default disk, it doesn’t show up as an option. Any ideas? Ummm. It will not let me partition my drive for some reason. No matter what size I change it to, I still get this error. Any ideas? Are you trying to repartition the boot drive, the drive you just booted from? If so, load your original OS X DVD and boot from it, then do the reparation when you’ve booted from it. But if you boot from the DVD, it`s not going to reset all the system? No – but just boot up from it – don’t charge ahead with any of the Install process! – but look up in the menu and choose Disk Utility. An error occurred while preparing the installation. Try running it application again. 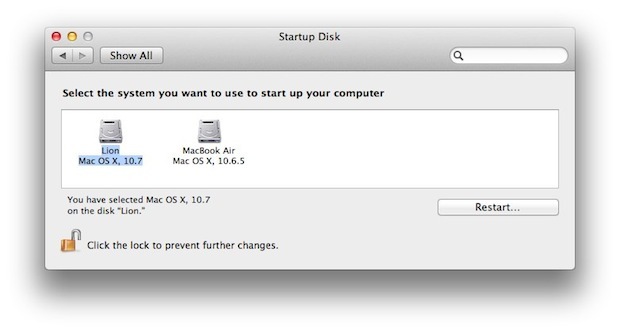 If the problem persist, use Startup Disk to restart your computer from the Mac OS X install DVD. I’ve re-did this at least 6 times and I keep getting the same message. I installed Lion 1 with no problems. Can someone please try and help me out to figure out, on why this won’t install? I was looking for this! Great step-plan! Is it as easy to delete the partition once I do not want to use it anymore? I am new to mac, and this might sound silly, but I was wondering…I installed mac os x lion aside mac os snow leopard (dual boot). I noticed when using mac os x lion, the system uses software which is installed on snow leopard but not on lion itself. How is that possible? An example – I wanted to open a .rar file. I have a software installed for this on snow leopard, but not on os lion. But os lion managed to open .rar file using the software which is installed on snow leopard. After I went to this walk through and finally installed OS X Lion on a separate partition, can i delete the original partion of Mac OS X Snow Leopard and just keep Lion? If possible, give walk through pls. Yes, you could delete Snow Leopard but I would not recommend doing that until the final version of Mac OS X Lion is released next month. The final release of Lion will be downloadable from the Mac App Store via Snow Leopard, and you will probably want to perform a clean install of it rather than upgrade over the developer betas. ope this isn’t a stupid question . . . If I have Lion installed on a separate partition and later want to delete my old Snow Leopard partition, how I can get all my third-party software (Adobe CS5, Office 2011, Parallels, etc.) to the new partition? What about old emails, photos, iTunes music etc? Or, is all that done automatically during the Lion install. Thanks in advance. Installing Lion on a separate partition creates a clean install that does not include any of your old apps, emails, or photos. If you want to have all of your old apps and documents, you can either restore from a Time Machine backup or better yet just upgrade from Mac OS X Snow Leopard to Lion directly. I created a new partition and flashed the Lion image to it and ran the install from there. Now I have my old Snow Leopard install, Lion, the Lion disk image and a hidden “Recovery HD” partition. I know that Recovery HD IS basically the bootable disk, but how do I delete the partition I flashed the image to? It’s acting as if it’s also Recovery HD, which I know you can’t delete. Obviously I don’t need 2 install disks but I can’t seem to delete the one I created. Nevermind, don’t know exactly what I did but it finally deleted. It also ruined by Bootcamp install but I didn’t really use it anyway. You should be able to remove the Lion installation partition directly from Disk Utility by selecting the partition and just deleting it. but I found a way to solve this issue , it worked for me you should try this out. 1. open disk utility–> mount lion.dmg–>create two partitions one of 20 Gb where you will actually install Lion OS other 10 GB for temporary use. 2. In disk utility use restore option source will be your Lion installation media in my case it was lion.dmg file,, destination will be 10 GB temp partition which we created above, now restore it , wait for 8-10 minutes. 3. Once this is restored in 10 GB temp partition, open temp partition and run installation from there instead of Lion.dmg what you were doing earlier. 4. It worked for me , while writing here second Lion installation is going on on 3 of My mac pro servers. Now i erased that partition so that i can create a partition with more GB of space, but the system doesnºt let me eliminate the lion partition, saying it needs a newer system to allow elimination o f that partiotion. I still have snow leopard in main partitiont. Can anyone tell me how to erase lion partition i have created, though snow leopard? Help! I just upgraded to Lion. Then, realized (too late!) that some of my powerpc applications are not supported. set up a new partition. back up from time machine to this partition, including snow leopard. Will this work??? Thanks in advance. I have SL and Lion installed on different partitions. Is there a way to co-share the program and data from SL without having to port the program and data over to Lion partition? Smooth as silk. Thanks for the great (i.e., professional) assistance. Now I gotta find all the old stuff on my MBP and make it available. SWEET tutorial. Couldn’t be more to the point and clear than this. One question though, in case I get tired of dual booting and decide to keep Lion as my main OS how can I delete the Snow Leopard partition to merge it with the Lion partition BUT still keep all my files and applications from SL in Lion. so what do i doooooo ?? help please..
What do you suggest since I already upgraded to Lion. Now I want to put Snow Leopard in a separate bootable partition on my HD. An idea? I’ve installed Lion on a partition dual boot as above. Can I access all the applications on Snow Leopard from Lion or do I have to re-install them all, given that the partition is only 40GB that may be problematic? You can access and launch some apps from Snow Leopard, but it’s possible that not all of them will be compatible. Great Tutorial – I’ve been nervous to try to install on top of snowL. This may be a stupid question – related to security/access. When i Boot Lion, I “see” the SnowL partition as another internal drive. I can access parts of it, but, when trying to get at my old “stuff” (like the pictures directory), finder shows it with a “universal wrong way” sign (Red circle, with white line) – basically, no permissions. I can use my Lion permissions to change the permissions, but, what can I do in setting up Lion to use the same Administrative account, or, whatever? Thanks. I am in a similar situation to David as I cannot function without some of my PowerPC applications (Quicken 2007 for Mac, etc, etc). As I have already transitioned to Lion, can I create a new partition, reinstall Snow Leopard and have access to the tools that I am desperately missing? Any special considerations going at this backwards? Thanks for your assistance. Am desperate. BIG lesson learned. Will look before I jump next time!!! I too am in the same boat. Help would be much appreciated! 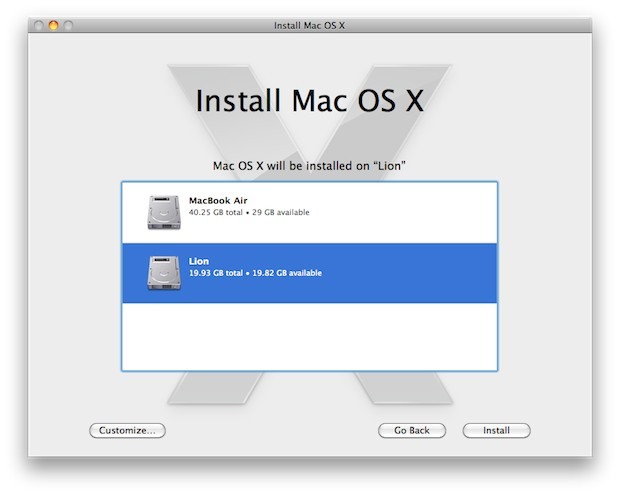 I installed Lion now I want both so I can get my Quicken back…. I’m lost. Can this be fixed? Thanks. I have a similar problem but in reverse. I have a Macbook Air 2011. Came with Lion and now want to install 10.6. Won’t boot from install disk in remote computer or from a bootable USB drive with 10.6 installed. Is there any way to get 10.6 to install if 10.7 is the default? Can you install with Fusion? Did this, wanted to delete SL partition, did, and now I have 100GB of free space, how do I increase my Lion partition (won’t let me) that way I’ll just have one partition? What is the message you get when trying to resize the Lion partition? It should let you increase the size of it all the way, be sure you have a backup ready but you could also try booting from the Recovery partition. Is that 100gb of freespace at the beginning of the drive? I suspect it is. I would like to know if there is a way to move the Lion partition back to the beginning of the drive so it could use that space. 1) Add a partition into the “Free space” your created previously. 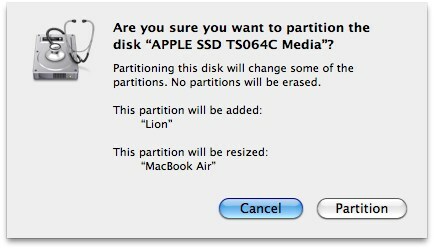 2) Restore your Lion partition to the first partition. 3) Restart holding donw the OPTION key…. 6) Drag the New partition to be full size if that is what you want. What do you mean will not let you into your security settings? Do you mean your bank’s password is no longer saved? I could use some Help. Ok Recently purchased an iMac i7 that was running Snow Leopard. I am a musician that runs a special set up in Logic with plugins that I’ve been collecting over the years. So with that being said I usually boot from an external drive with my (Monster Logic Set up Installed). So I decided to install Lion on the iMacs internal drive over Snow Leopard. Everything went ok with the that, but now when trying to boot from my external HD (with the Monster Logic Set Up Installed) it wont boot. The the icons will show up for the Hard Drives that I can boot from but once selected. Nothing the apple logo comes up but no pinwheel or anything. I then will have to do a hard reset to boot back to the internal drive. I hope that some one can help me with this. I’ve been booting with this same external drive for almost 3 years now. Did you ever figure this out? I’m trying to add a partition to install the latest OS but am getting that same message. Any advice is appreciated. Heyyy!!!! !I have Windows 7 and Mac os X Snow Leopard……if i upgrade my mac to OS X LION will my windows be unistalled and will i have to reinstall my windows………….plzzz reply fast………. how can i do it?!! Good day sir.. i am currently running mac os x lion 10.7.1, is it possible to bootcamp mac os x snow leopard? i am having problems with some of the drivers i use for my Djing stuff with the lion because numark haven’t published new drivers yet for the lion.. is it possible to bootcamp os x snow leopard from my os x lion sir? 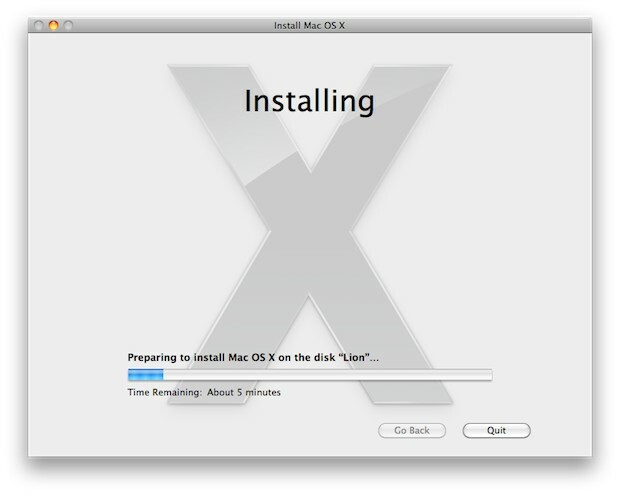 hoping to hear from you soon.. thanks..
We’ve just found a way to install Snow Leopard within Lion, using Parallels. So you don’t have to choose which one you want to boot into; you can run both simultaneously. There are two methods, actually, both are on our blog. We hope these instructions are useful to others. how do i install windows 7? ive done the partition step and i put the windows intallation disc and blah blah clicked ‘upgrade’ but when it said ‘ eject disc and restart so the windows starts normally’ i cant eject the disc and so i pressed the power button and restart it clicked the eject button and trackpad the disk came out but it didnt start with windows. im so confused please answer my question. Problem is – I tried to boot from a external HD running Snow Leopard on my new Mac which runs Lion. After selecting the HD all I get is the Apple start up screen and 3beeps (on repeat). The only reason I’m doing this is because some of my software isn’t even supported by Lion! Any help on how to boot SL over Lion from an external would be much appreciated. Hey, I have the same problem. did you ever find a solution for it? i have tried every answer about this, but none solve sit. i have latest snow leopard in primary partition. I have lion e secondary partition. disk utility doen’t let me eliminate lion partition, saying i need an newer version of the system..
the only thing i could do is erasing the lion files, formating it. how can i eliminat lion partitin so that i can restore my primary sl partition to its full capacity? i really would apreciate your help on this. Thanks for the partition tip! I appologize if the following has been asked and answered already, but will this process work if I start on Lion and add a partition for Snow Leopard? Yes, you can install Snow Leopard on a separate partition after installing Lion, but you will probably need to make the partition from Lion and not a Snow Leopard boot disk. In August, 2011 I bought a Mac Pro that came with Lion. I want to install Snow Leopard on an external disk. I bought the SL CD v. 10.6.3 and tried installing but I get an error when trying to use the SN installer. I can’t boot from the CD either. Apple Support had no answer. Please help. I just loaded Snow Leopard on my imac. I would like to install OS X Lion onto my imac now but I am receiving the following error message when trying to purchase it from the MAC app store. MAC OS X 10.7 requires at least 2 GB of memory. Question: I have Lion (OS X 10.7) installed on top of 10.6. but now I want to go back to 10.6 without deinstalling Lion again. I already made a second partition, but when I want to install 10.6 from my DVD I get an error message: “you cannot use this program on this version of mac os x”. What can I do? I am considering a purchase of a MacBook Air 13 inch, that comes with Lion 10.7 OS. I have a 15 inch MacBook Pro with 12 years of Quicken 2006 for the Mac data on it running 10.6 Leopard. Will I be able to partition off part of the MacBook Air hard drive & install 10.6 Leopard & install the Quicken App to run my data & continue to use it. This may be especially challenging without an optical disc drive on the MacBook Air. Would Parallels be an easier fix? Does this also work the other way around, if i have lion installed and want to add snow leopard? I am wondering the same…any takers? Yes but it only works on older Macs, the newest Macs that shipped with Lion installed can’t run Snow Leopard except in a virtual machine. No that did not help with booting up in windows. please try to help me again. I installed Lion from a DMG. My final Cut pro seemed to work fine for a day or so then wouldn’t open up. So installed Snow Leopard from my old install disc on my 2nd internal drive. It seemed to install OK but my final cut pro 7 doesn’t work still. What do you suggest? I’ve bought a new IMac with 10.7.2. I have old PPC programs. I partitioned the HD and tried to install Leopard but the Mac refused. Apple says I cannot install older version on this hardware. Any ideas?? I’ve tried Parallels with no better success. Will this work to install 10.5 (instead of 10.7) on my 10.6.8 machine? I have an application (Quickbooks Mac 2007) that stopped working properly on 10.6.8 because the company is no longer supporting that application. Please respond on site and with email. Ok so here it goes. I have a 13” Early 2011 MBP 8,1 (native Snow Leopard, now running Mavericks) and a 15” Late 2011 MBP 8,2 (native Lion sans install/recovery media/usb drive). The 13” is working perfectly. The 15” is at the moment being forced to run a very dodgy linux distro/self-built mod pack because I screwed up somewhere. I had it dual booting Windows 7 and OS X Mavericks using Bootcamp. (Don’t ask me why, ok? I am not enjoying my gigantic helping of disgusting MS Windows crow.) When i came to my senses and decided to kick Windows finally, I decided on a clean install so therefore set off to copy off the wanted files before heading over to boot and use disk utility. Well it seems i screwed up, and I’m assuming its due to some weird bootcamp step i simply ignored. Well the point is now i cannot get it to boot at all. I’m stuck with an EFI Password I never set now. No SU mode, No Target Disk Mode, No Recovery Mode, I can’t get into it at all unless i use a Linux liveDVD and install. Is there a way i can fix the bootloader so i can load a recovery HD and remove the EFI Password, and finally use it again like normal??? HELP!!!! !